Jellies, like their coral cousins, serve as a habitat to many ocean creatures. 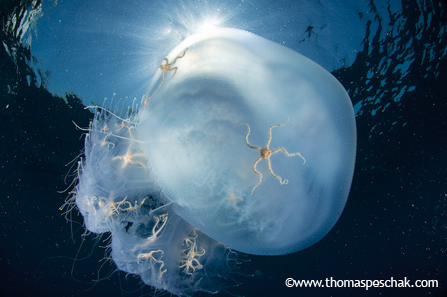 These fish are using this rare Thysanostoma jelly as a traveling shelter. Here you can see a short movie clip of this same kind of jelly serving as a home for a school of jacks. These brittlestars are making a living on this jelly off Mozambique. 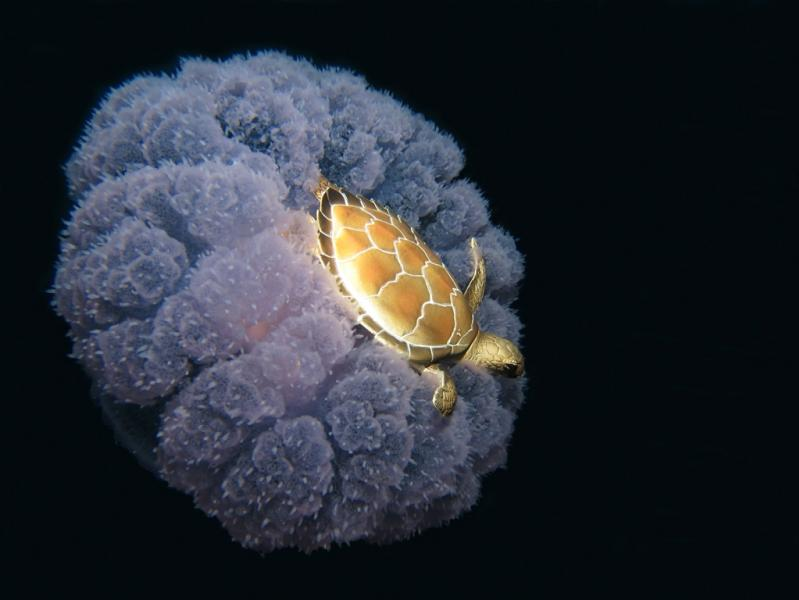 Here this crab is using a large Chrysaora fuscescens jelly as a mobile substrate. In fact, the list of critters found with jellies includes sea spiders, mollusks, copepods, crabs, brittle stars, and fish . Yet for many of these interactions it is not clear what role jellies may play. 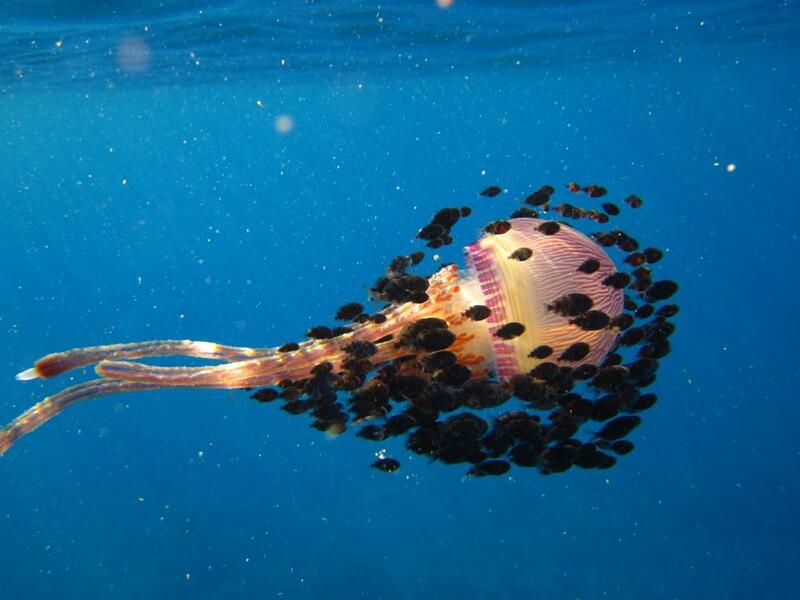 Are jellyfish permanent homes for some of these animals? A quick shelter? A mobile food source? Or even a form of transport between different habitats? As with many aspects of jelly biology, the questions far outnumber the answers. Citizen scientists documenting these interactions, with photos of turtles or brittle stars riding on jellies, serve an invaluable role in advancing our knowledge of these puzzling and poorly known relationships. * The photo is labeled as a Crambione sp. at one source. But Wyatt Patry, expert jelly aquarist at the Monterey Bay Aquarium, suggests that it is actually a species of Netrostoma sp. I want to be that turtle. It’s like a mobile pillow-top!